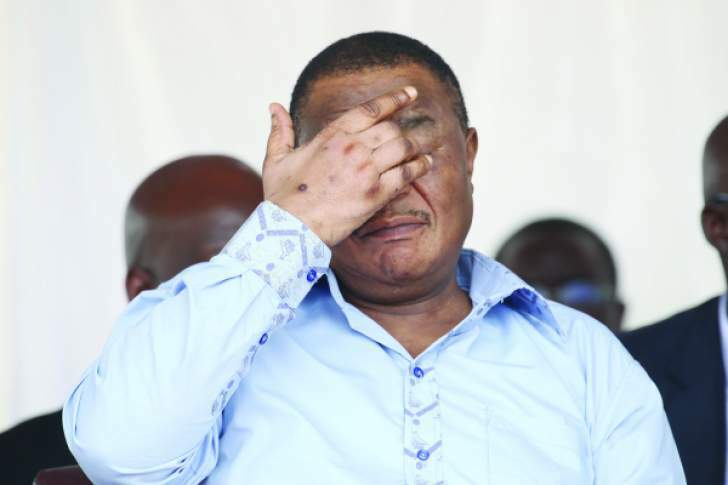 A SOLDIER assigned to guard Vice-President Constantino Chiwenga's Borrowdale Brooke residence was yesterday convicted of stealing from his boss' neighbour. The State said on October 15 this year, at around 10pm Mbudaya, who is assigned to the Presidential Guard unit, was deployed to carry out static guard duties at Chiwenga's residence. The following day around 2am, he broke into Vengai Guni's house and stole steel reinforcements worth $2 000 and loaded them into his unregistered Mazda Demio vehicle. Meanwhile an unlicensed commuter omnibus driver, Silas Hungwe was yesterday jailed for 30 months and banned for life from driving after he crashed into Chiwenga's official vehicle in Borrowdale, causing serious damages to both vehicles. In passing the sentence, magistrate Barbara Mateko said cases of people driving without licences are prevalent and if convicted, must be placed behind bars. "Cases of this nature are prevalent where people don't hesitate to get behind the wheel without licences. Hungwe must be remanded in custody to deter other would-be-offenders," Mateko said. The court heard that on August 24 along Borrowdale Road at the intersection of Kingsmead Road, Hungwe drove into Chiwenga's car, which was part of a motorcade after failing to give way.